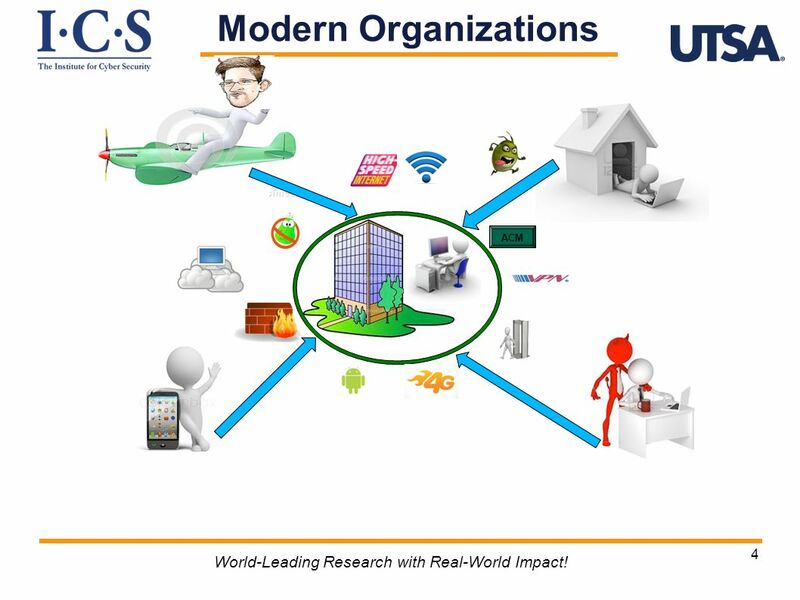 4 4 Modern Organizations ACM World-Leading Research with Real-World Impact! 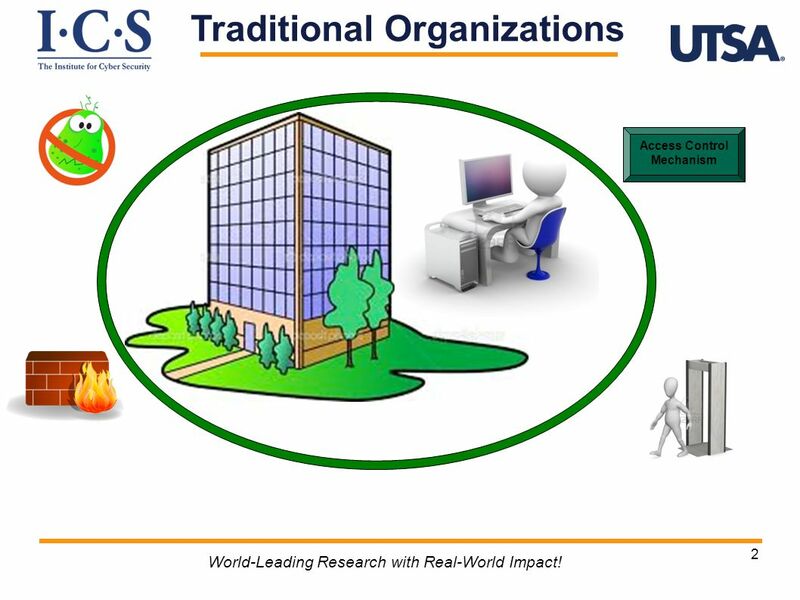 14 Formal Specification World-Leading Research with Real-World Impact! 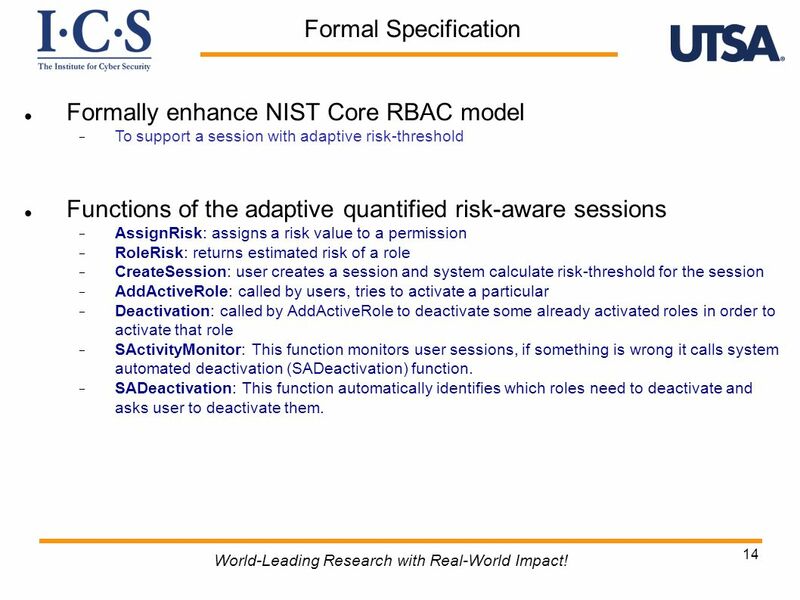 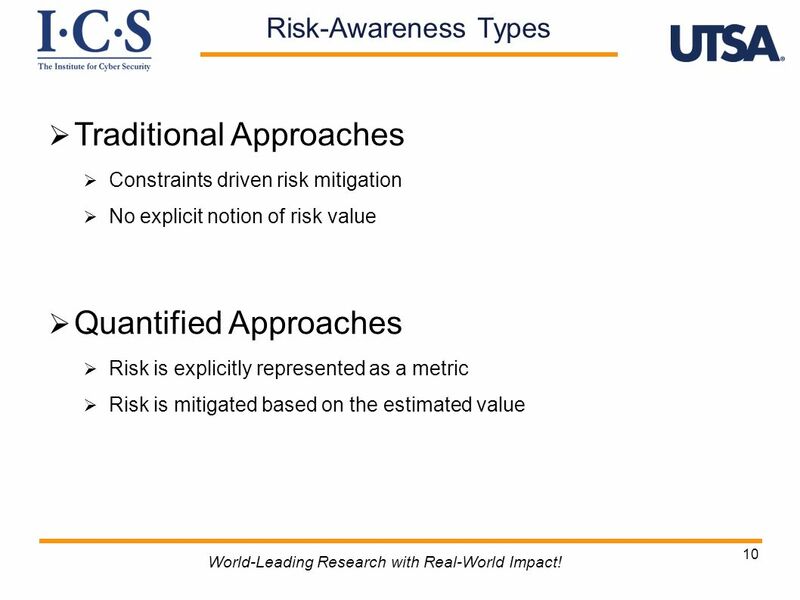 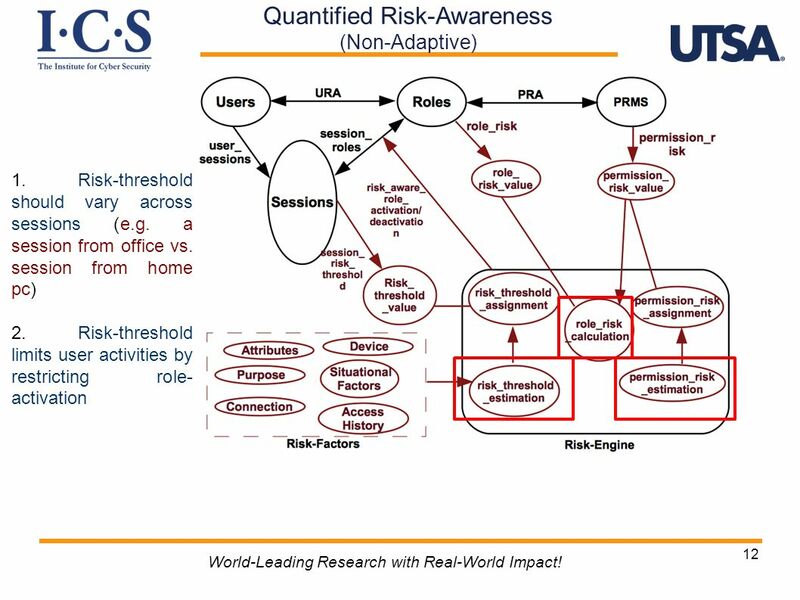 14 Formally enhance NIST Core RBAC model To support a session with adaptive risk-threshold Functions of the adaptive quantified risk-aware sessions AssignRisk: assigns a risk value to a permission RoleRisk: returns estimated risk of a role CreateSession: user creates a session and system calculate risk-threshold for the session AddActiveRole: called by users, tries to activate a particular Deactivation: called by AddActiveRole to deactivate some already activated roles in order to activate that role SActivityMonitor: This function monitors user sessions, if something is wrong it calls system automated deactivation (SADeactivation) function. 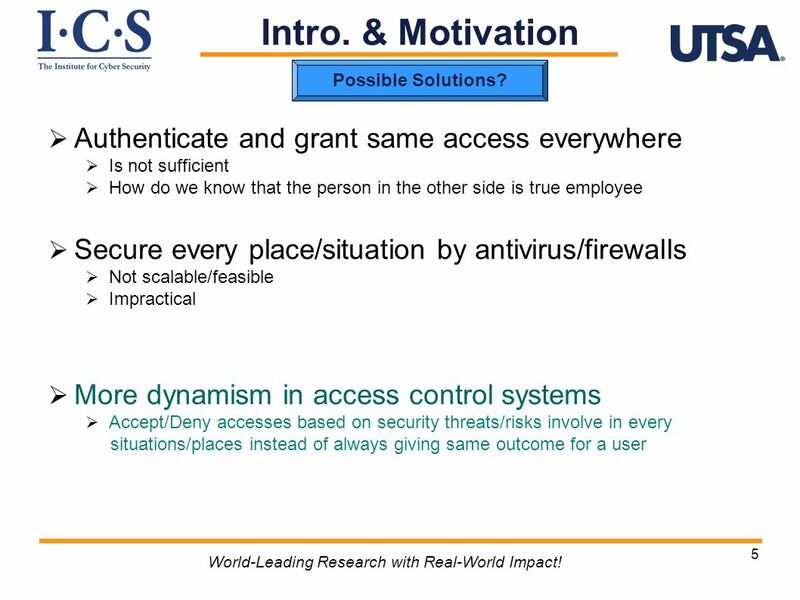 SADeactivation: This function automatically identifies which roles need to deactivate and asks user to deactivate them. 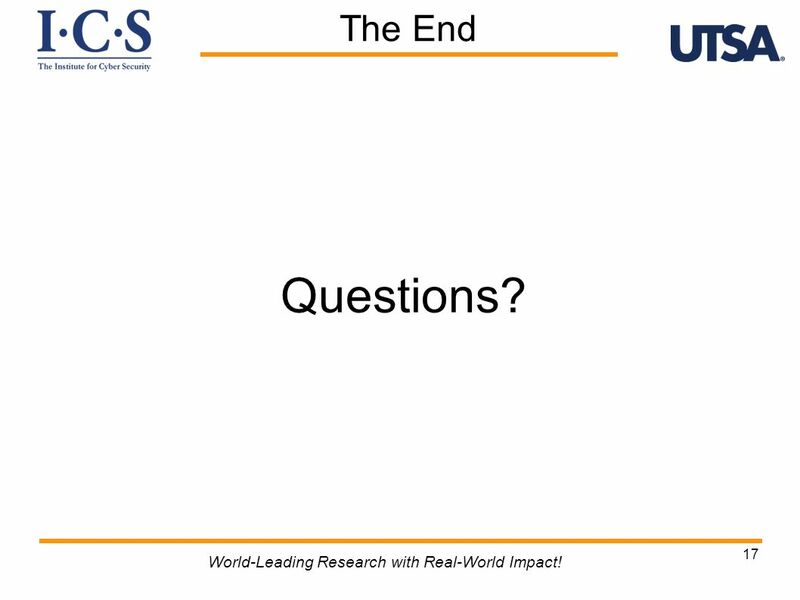 Download ppt "11 World-Leading Research with Real-World Impact! 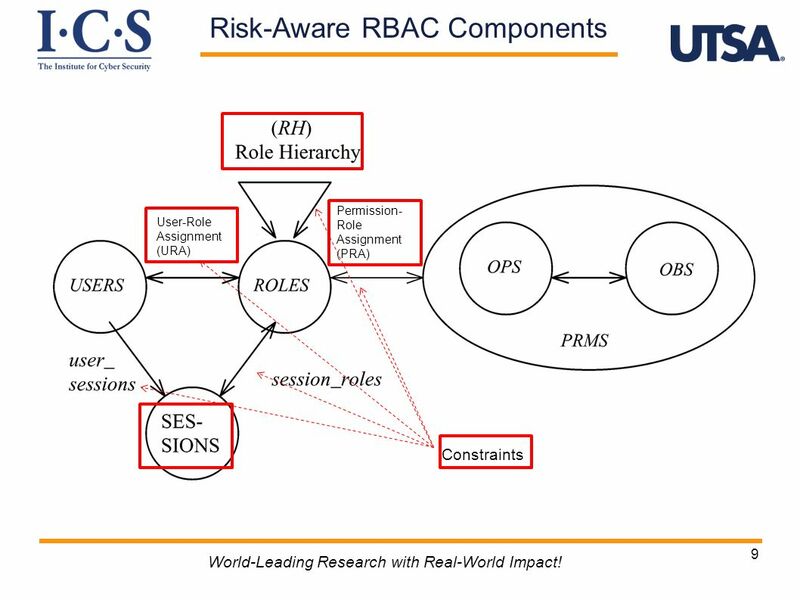 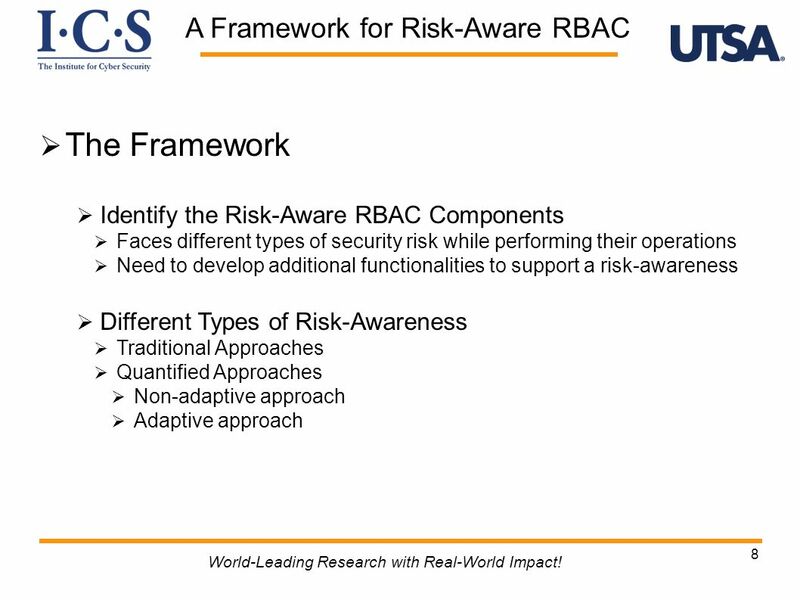 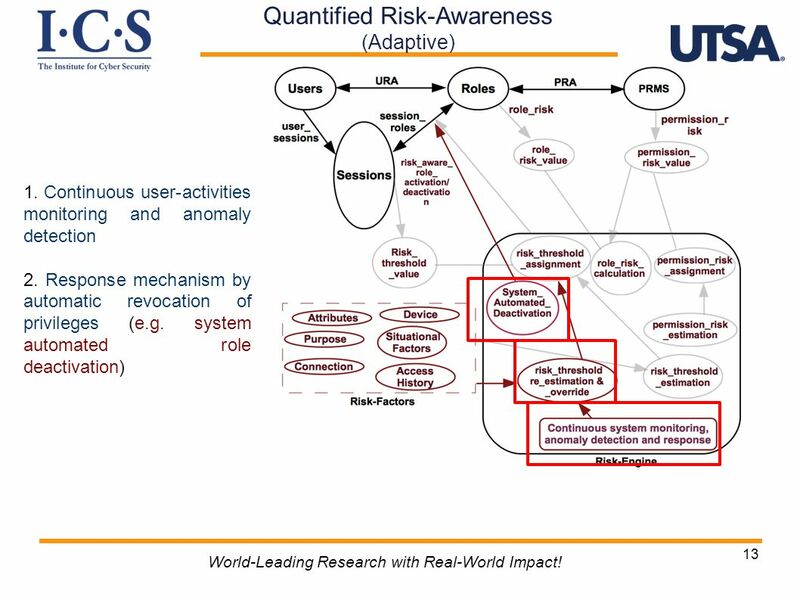 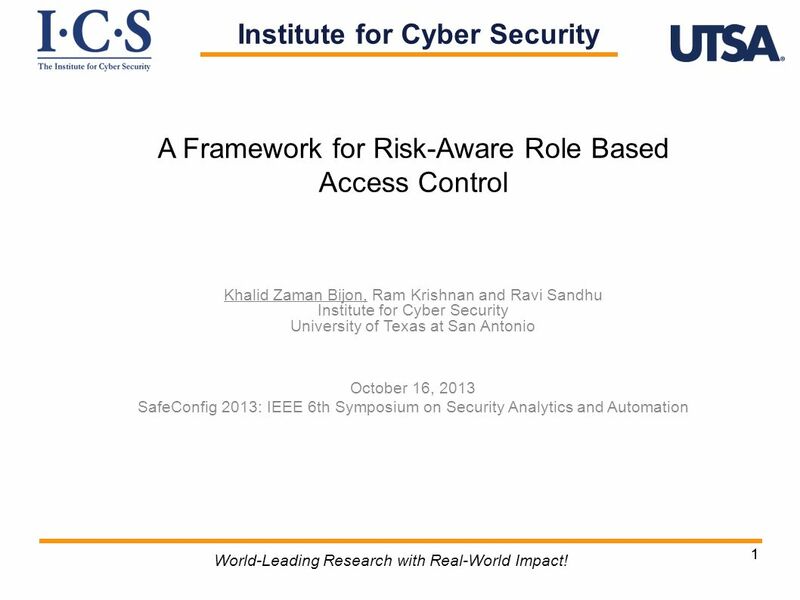 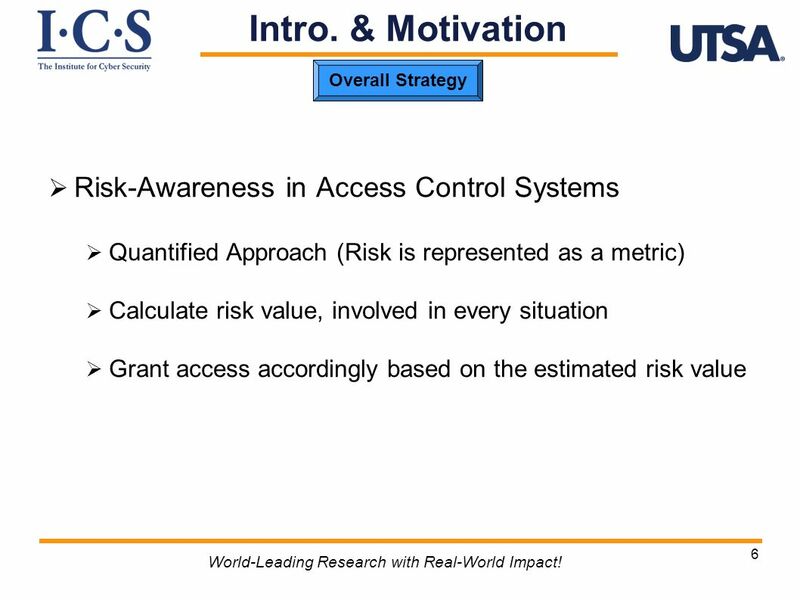 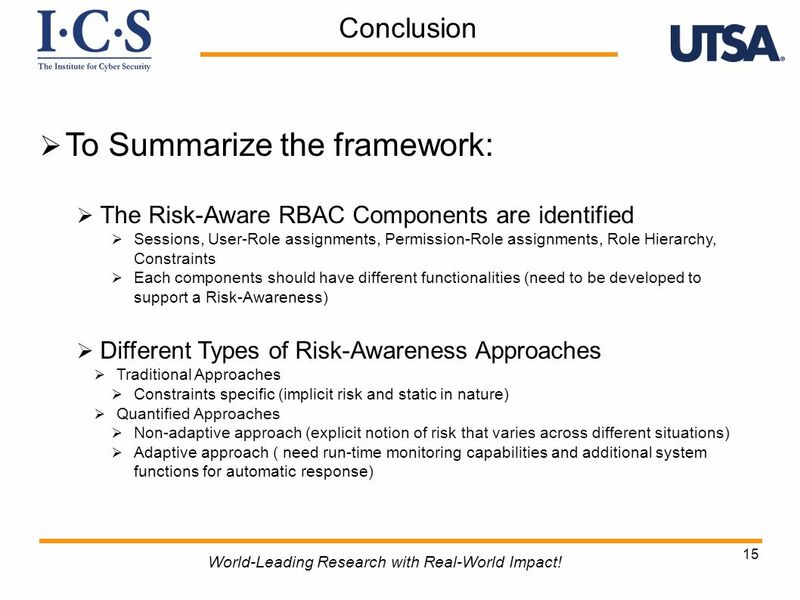 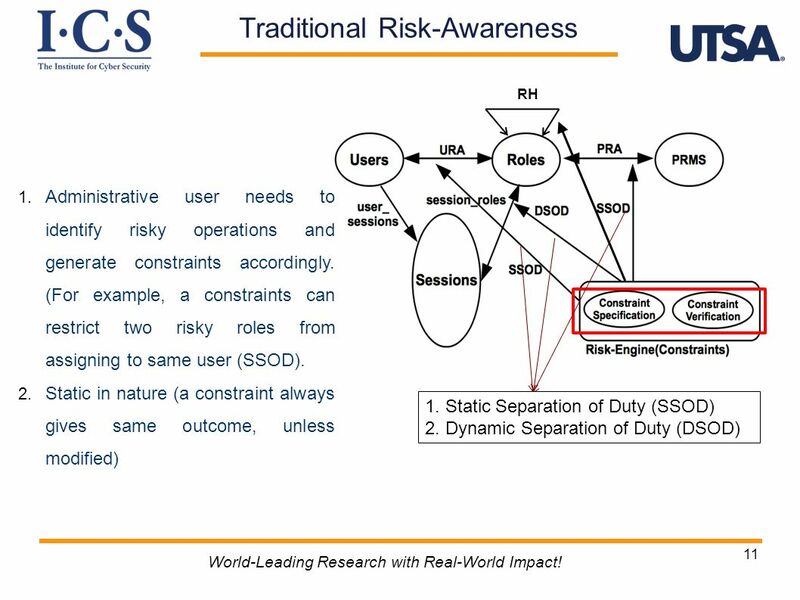 A Framework for Risk-Aware Role Based Access Control Khalid Zaman Bijon, Ram Krishnan and Ravi Sandhu." 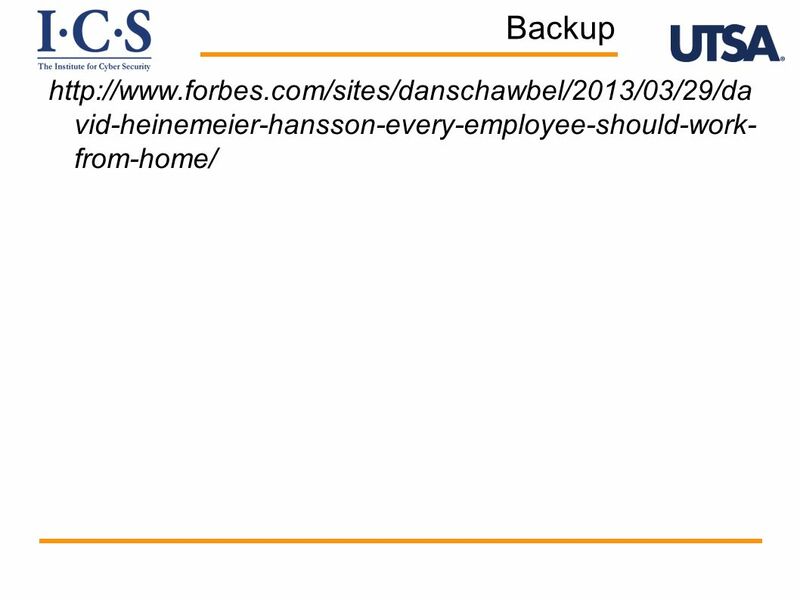 © McGraw-Hill/Irwin 2004 Information Systems Project ManagementDavid Olson 11-1. 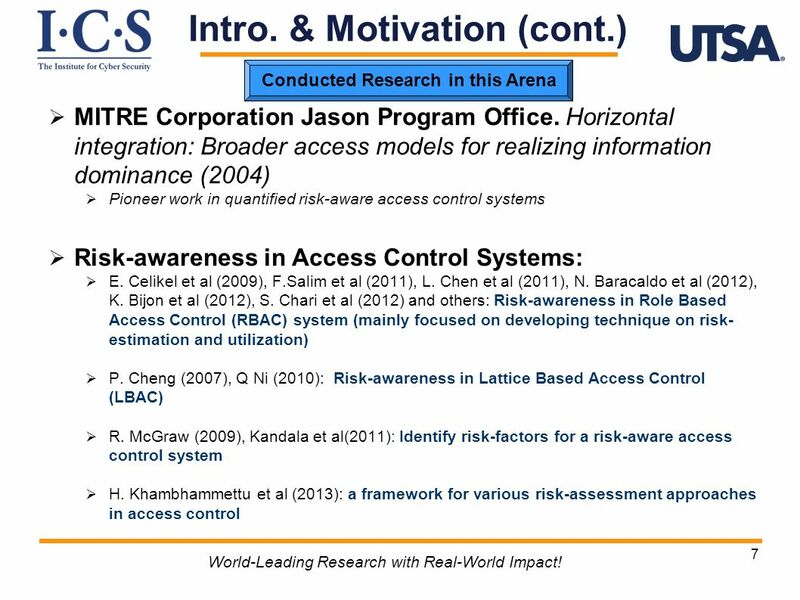 Towards A Framework for Cyber Social Status Based Trusted Open Collaboration Oct. 9, 2010 Jaehong Park, Yuan Cheng, Ravi Sandhu Institute for Cyber Security. 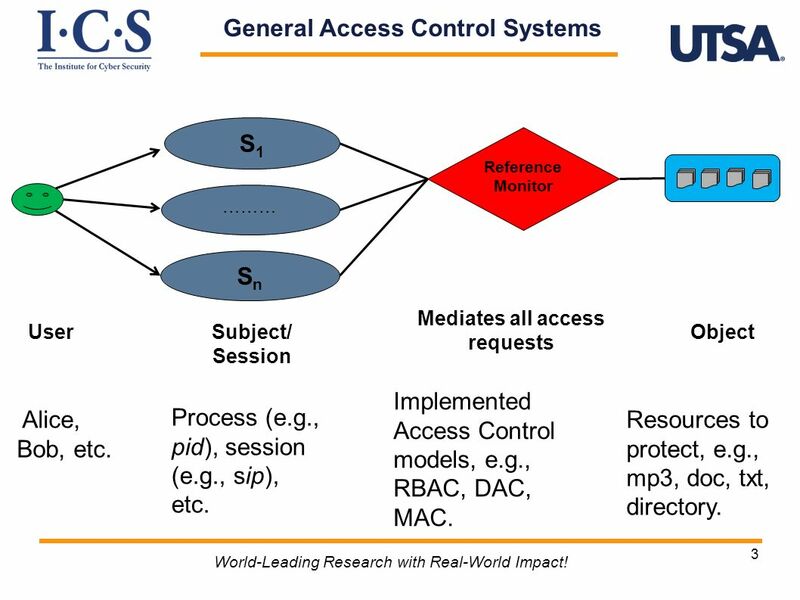 1 TRANSACTION CONTROL EXPRESSIONS (TCEs) Ravi Sandhu.